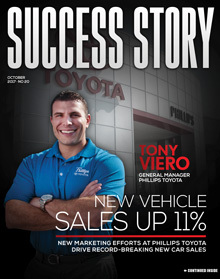 When Tony Viero took over as the general manager of Phillips Toyota in Leesburg, Florida earlier this year, he knew he had work to do. The dealership was underperforming, and its client base, made up primarily of an older demographic, didn’t respond well to modern marketing and sales practices. The dealership, owned by Larry Phillips, is part of a group that includes a Buick/GMC store in Leesburg, as well as a Chrysler store in nearby Ocala, Florida. The family-owned and family-oriented stores enjoy wonderful reputations in the community. The Toyota store, however, wasn’t performing as well as Phillips knew it could. 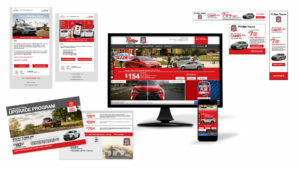 To move the needle, Viero had to redefine the very idea of what an auto dealership is for a senior generation and, to do that, he knew he had to make some changes both to the dealership’s staff and its message. Those changes are now paying off. In July and August 2017, the store has set back-to-back all-time record months in its history in new car sales. Another challenge that Phillips faces is from other dealerships in the area. “We compete with many stores in the Metro Orlando area,” Viero said. “Some of these dealerships spend millions of dollars in television advertising alone, so it’s a very challenging market.” In addition to competing Toyota dealerships, other franchises are also vying for their share in Phillips’ market. Viero came into the job with automotive sales and marketing training from Northwood University, along with experience he’d gained from several dealerships and his time spent as a district manager for Southeast Toyota. After examining the challenges facing the store, Viero quickly decided the dealership needed a nearly complete makeover — and that makeover started with the staff. Because the retired and elderly demographic makes up so much of Phillips Toyota’s client base, the store found that what works for other dealerships when it comes to marketing wouldn’t necessarily work for them. One of the first things Viero did after coming to Phillips Toyota was to search for a marketing partner who could help him effectively reach his clientele — a group who wouldn’t necessarily react to ads reaching other, younger demographics. After seeing what various companies had to offer, Viero chose Team Velocity. The dealership’s digital results have been impressive, as well. 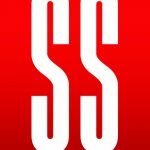 In February 2017, when Team Velocity first came on board, the store had an 8 percent conversion rate, with 175 total conversions. In August, those numbers have jumped to 15.28 percent, with 609 total conversions.